This battery fits the AS70 Horizont Solar Energisers. It is a rechargeable battery, charged by the solar panel in the energiser. Please do not let this battery get fully drained as this will damage the battery. It is important to check your fence during the darkest winter months as the battery will likely need a couple of extra charges from the Mains. It is also important to make sure there is not too much strain on your energiser - by having too much vegetation or by having a fence that is too large for the energiser. If your energiser is over worked, it will drain and damage the battery. 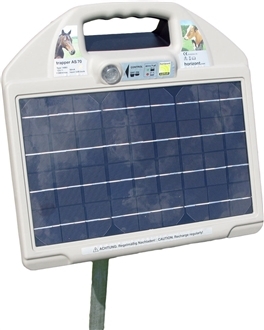 Like with a mobile phone, you will eventually need to replace the rechargeable battery in your solar energiser.